Chinnaiah Jangam is a historian specializing in modern South Asia. He finished his Ph. D. from the School of Oriental and African Studies in London, UK in 2005 and his thesis focused on the intellectual and political writings of Dalits against caste inequality and oppression in colonial South India. Currently he is working on a monograph based on his Ph. D. thesis. He is keenly interested in issues of social justice, human rights, self-respect and dignity, democracy and citizenship. Dr. Jangam has been the recipient of Felix Scholarship for doctoral studies in England. He was also awarded a Guggenheim Fellowship. He has been a post-doctoral fellow at New York University and has taught in Wagner College in New York from 2006-2010. Since 2014, he has been cross-appointed with Institute of African Studies, Carleton University. In 2013, he was appointed Affiliate, Center for Oral History and Digital Story Telling, Concordia University. Chinnaiah Jangam is keen on accepting new graduate students. I am a historian trained in the history of the British Empire and Modern South Asia. My primary research focus is on the intellectual history of Dalits, especially their engagement with colonialism, nationalism, and Christianity. Currently I am also engaged with a project on Dalit life writings, exploring the epistemological connections with similar narratives of dispossession and stigmatization (e.g. slave narratives). 2007 Selected and funded to participate in the International Research Seminar (July 9-Aug 3) on Decolonization, National History Center, Library of Congress, Washington DC. 2001-2004 Felix Foundation Fellowship for Doctoral Studies. “Dalit Resistance: A New Paradigm in South Asian Historiography,” Modern Asian Studies. In Press. “Politics of Identity and the Project of Writing History in Postcolonial India: A Dalit Critique” Economic and Political Weekly (Special article, peer-reviewed). In Press. “Elided History: Dalits in Hyderabad Public Sphere.” Forthcoming in the special issue “Competing Futures” of Comparative Studies of South Asia, Africa and the Middle East. April 2016. “Desecrating the Sacred Taste: The Making of Gurram Jashua – the Father of Dalit Literature in Telugu”, Indian Economic and Social History Review, No.2, April 2014. “Dilemmas of Dalit Agendas: Political Subjugation and Self- Emancipation in Telugu Country 1910-1950,” in Dalit Paradoxes, Gopal Guru & R. N. S. Rawat, eds. Duke University Press, 153-178 (In Press). “Sub-Caste Conscious and Challenges before Dalit Intellectuals,” Dividing Dalits: Writings on Sub-caste Categorization of Scheduled Castes, C. Rao Yagati, Ed., Rawat Publication, 2009. “The Story of a Jailed Prince: Feudal Roots of Democratic Politics in Andhra Pradesh”, Economic and Political Weekly (Commentary), XLVIII. 25, 2013, 11-15. Gurram Jashua Dalita Sahitya Pithamahudu (Gurram Jashua: Father of Dalit Literature in Telugu) Bahujana Keratalu: A Dalit Monthly, October, 2012, 15-27. “The Unsung Telugu Poet: Gurram Jashua.” The Dalit, March-April, 2003, 27-38. “BJP and Reservations: Quota Politics or Electoral Convenience?” Economic and Political Weekly, July 26, 2003, 3143-3145. 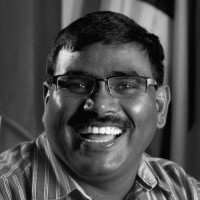 “Asaaharana Adhikari: P. Subramaniam,” Andhrajyothy (Telugu Daily), 3 September 2009. Editorial Page, p. 3. Kalamku Sankellu, Vaartha (Telugu Daily), 14 May 1999. 3-5.
Review of Anupama Rao, Caste Question: Dalits and the Politics of Modern India, University of California Press, 2009, The Journal of Asian Studies, Volume 73, No. 1. 2014, 276-278.
Review of Ashwini Tambe, Codes of Misconduct: Regulating Prostitution in Late Colonial Bombay, University of Minnesota Press, 2009, Journal of History and Sexuality, Volume 22, No 2, 2013, 360-362.
Review of Sukhadeo Thorat, Dalits in India: Search for a Common Destiny, Sage Publications, 2009, The Journal of Asian Studies, Volume 68, No. 4, 2009, 1208-1210.
Review of Manu Bhagavan and Anne Feldhaus (Eds. ), Claiming Power from Below: Dalits and the Subaltern Question in India, Oxford University Press, 2008. H-Asia an Online Journal on Asian Studies, 2009.
Review of Vanaja (Film) in Journal of Visual Anthropology, Volume 22, No.1-3, 2008, 68-71.
Review of Christophe Jaffrelot, Dr. Ambedkar and Untouchability: Fighting the Indian Caste System, Columbia University Press, 2005, Economic and Political Weekly, June 2005, 3021-3023.